Melt butter in a large skillet over medium-high heat; add celery onion, bell pepper and garlic. Saute until vegetables are tender, about 5 minutes. Combine, chopped fresh basil, salt and nutmeg in a large bowl. 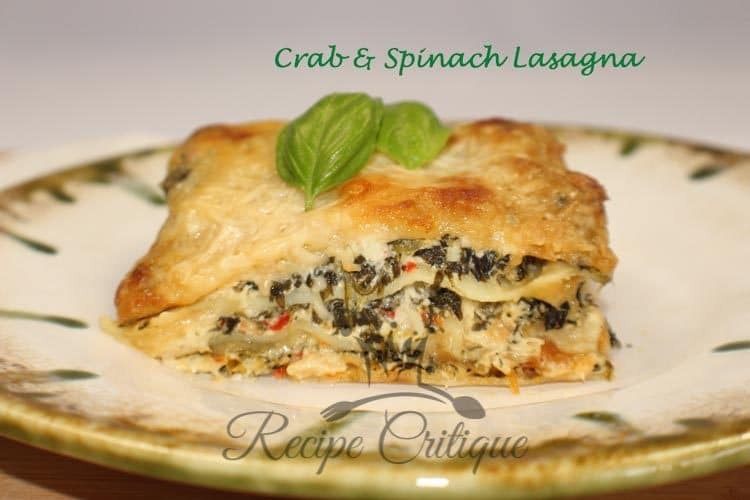 Stir in vegetable mixture and spinach and crabmeat. Mix to combine. Cover and bake at 350° and bake for 50 minutes. Uncover and top with the remaining two cups of mozzarella and lightly sprinkle the parmesan cheese on top. Bake uncovered for 10 to 15 minutes and the cheese has melted. Let rest for 10 minutes before serving. Garnish with the fresh basil leaves. 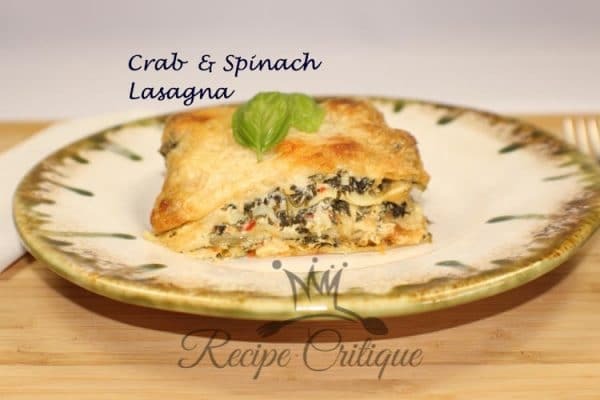 This delicious seafood lasagna is one of my favorite healthy recipes for dinner. It is incredible easy to make, chock full of nutrition and is classy enough to serve at a special dinner with a small garden salad. 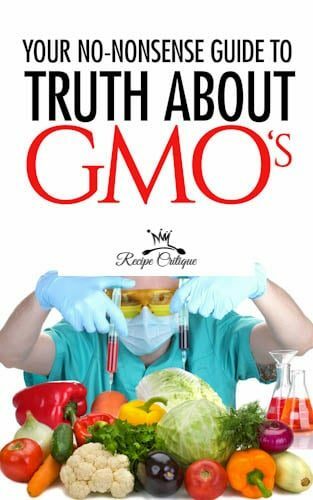 I slightly modified this from a recipe I found on myrecipes and really enjoy it.